The holiday season is fast approaching and we all know what that means: it's time to start tracking down those perfect gifts for the heroes (and maybe even some of the villains!) in our lives. Thankfully, searching for the perfect presents doesn't have to be a stressful affair this year, because DC Universe has got you covered. You won't even need to leave the comfort of your home to snag our awesome exclusives and hottest new books. They're all just a click away! Young Justice fans can brave the winter months in this DC Universe exclusive hoodie. 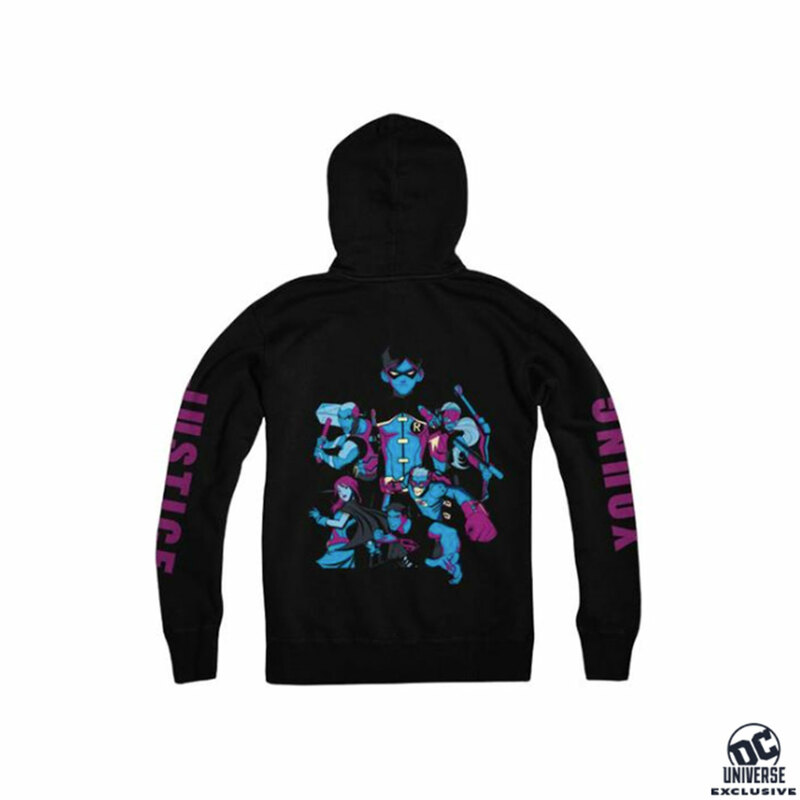 With a purple domino mask emblazoned on the front, "YOUNG" and "JUSTICE" printed down each sleeve, and a stylized team portrait showcased on the back, this is a must have for any YJ fan, new or old. Plus, it doubles as the perfect reminder that Young Justice: Outsiders premieres right here on DC Universe in January! Know someone who's psyched out of their mind for Arthur Curry's solo movie debut? Consider getting them this amazing t-shirt featuring the King of Atlantis in all his glory. 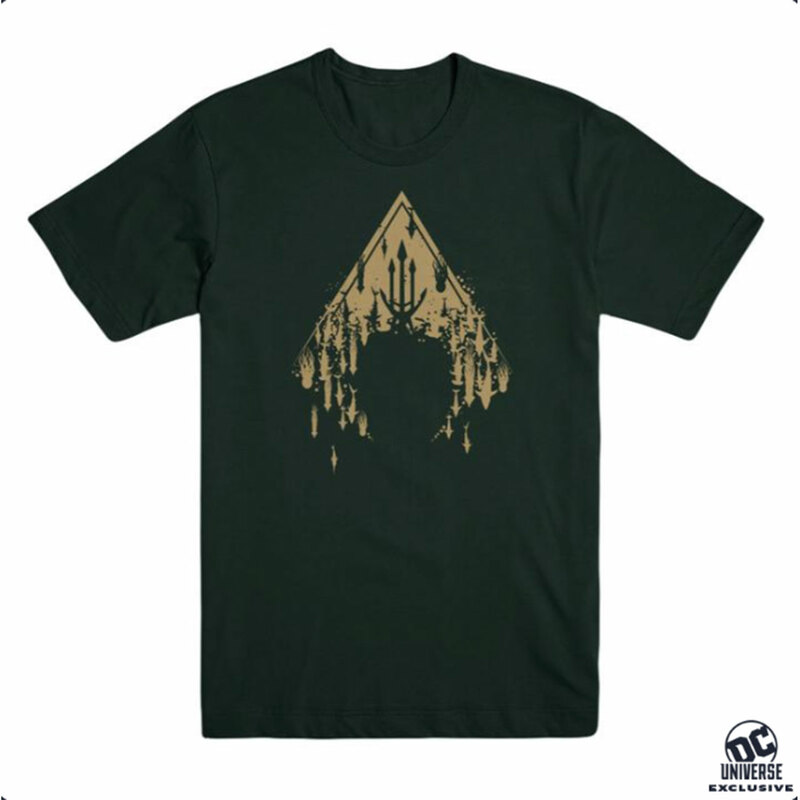 Stylized to feature both Aquaman's iconic "A" emblem and legendary trident, this shirt might not make its wearer royalty, but it's definitely the next best thing. 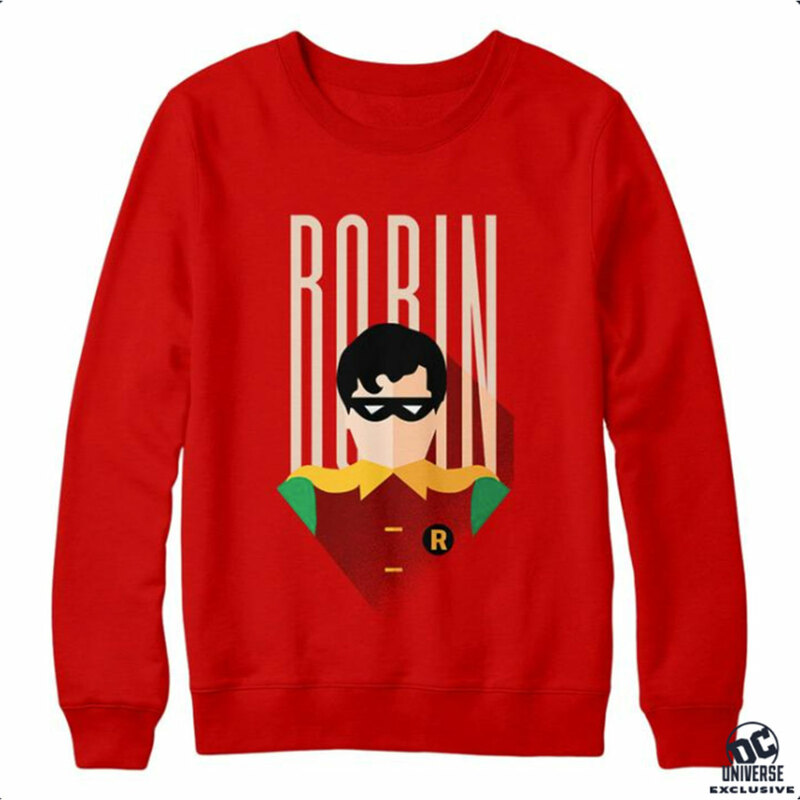 Nothing says holiday cheer like a bright-red sweatshirt, and this one just so happens to feature Robin in all his glory. Rendered to call back to the Boy Wonder's original incarnation, this sweatshirt is the perfect gift for all the Bat-fans in your life, especially those who want to rep the classics. Shopping for the Young Justice fan who has everything? You can't go wrong with this fun (and useful) notebook. 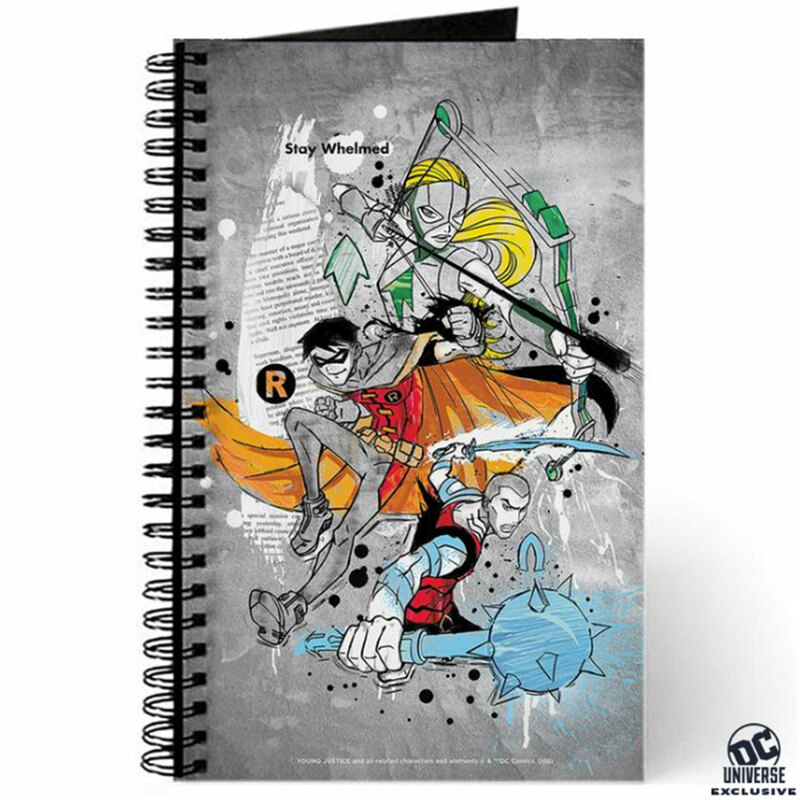 Featuring stylized art of the core YJ team, this is the perfect place for anyone to jot down 160 pages worth of notes about their favorite episodes, track Easter eggs, or sketch out their favorite characters, all while providing a helpful reminder to always stay 'whelmed. Is there an action figure collector on your holiday shopping list? 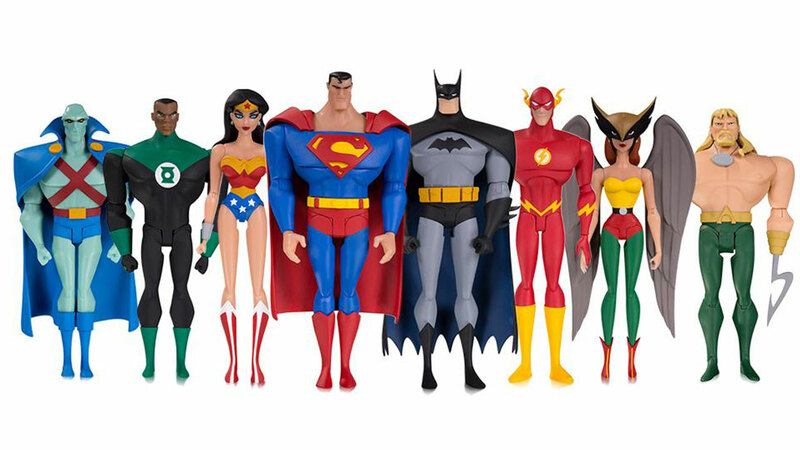 These Justice League Animated figures are the perfect gift. Available as a complete set or individually, these articulated gems, available only from DC Universe, will make a welcome addition to anyone's collection. 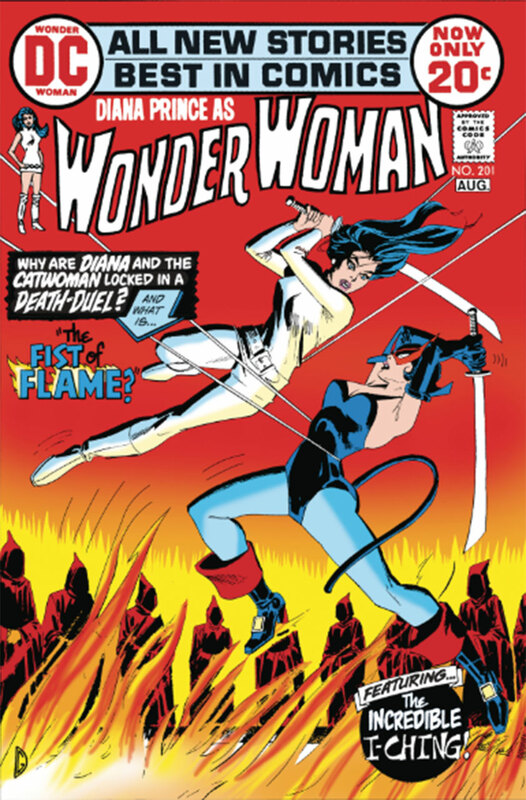 Now for the book collectors in your life... Did you know that Wonder Woman spent some time in the late '60s and early '70s as a globe-trotting secret agent? After leaving her super powers behind, Diana Prince became a spy and a fashion boutique owner. 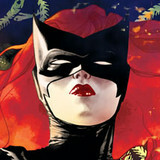 Decked out in the full mod regalia of the time, she fought against wildly different types of evil -- and the whole story has been compiled here for the first time in one hardcover omnibus. The perfect gift for any Wonder Woman completist, it's on sale December 19th. Want to go back to the story that inspired the big screen's Sea King? 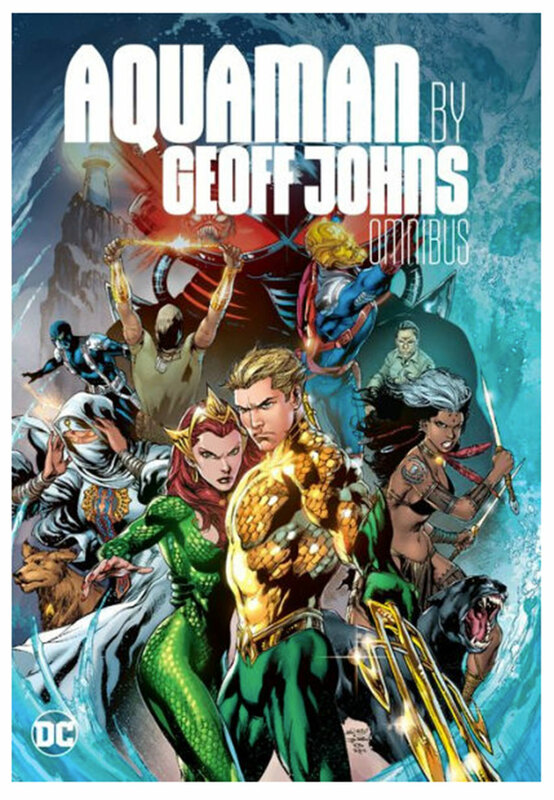 The Aquaman by Geoff Johns Omnibus, on sale December 19th, collects the run that helped lay the foundation for Jason Momoa and Amber Heard -- as they take theaters by storm this year -- in perfect, gift-giving, hardbound format! Know someone who's already looking forward to 2019's Shazam! movie? 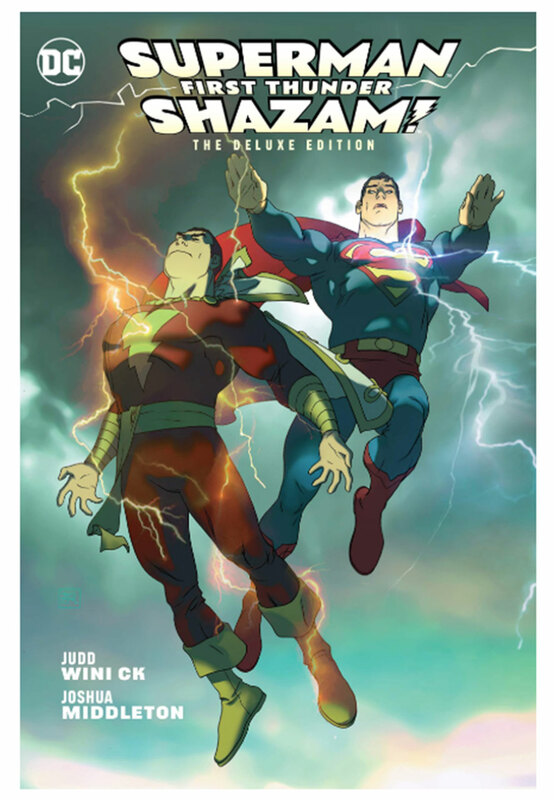 Look no further than the Superman/Shazam! First Thunder Deluxe Edition. On sale December 12th, it's a modern retelling of the first-ever meeting between two of the DC Universe's most powerful super heroes. Wondering what happens when Clark Kent meets Billy Batson? Look no further than this beautiful hardcover filled with extras. Is there a younger reader in your life? Super Sons is the perfect place to kick-start anyone's love of the DC Universe in a fun, family-friendly way. Join Batman's son, Damian Wayne, and Superman's son, Jon Kent, as they try and navigate the weird, wonderful world of heroes and villains -- all while making it back home before bedtime. 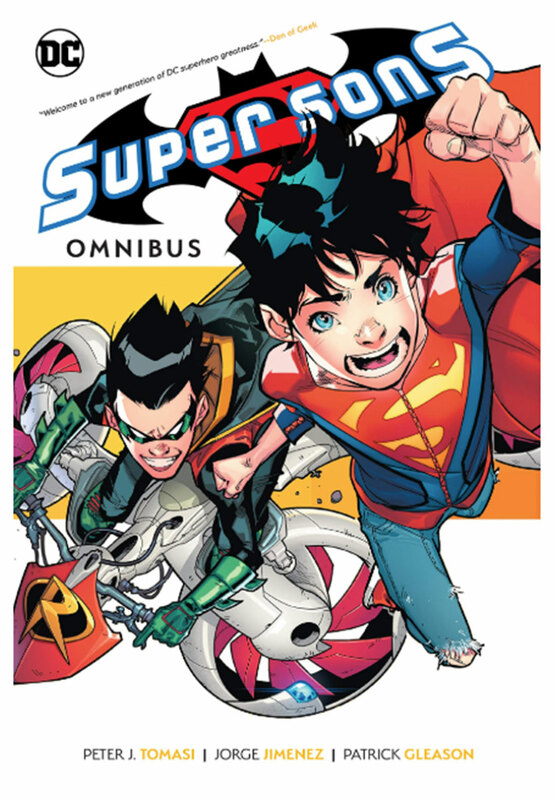 This omnibus, on sale December 19th, includes the entire run of the much-loved Super Sons series. Shopping for the friend whose taste skews towards the experimental? 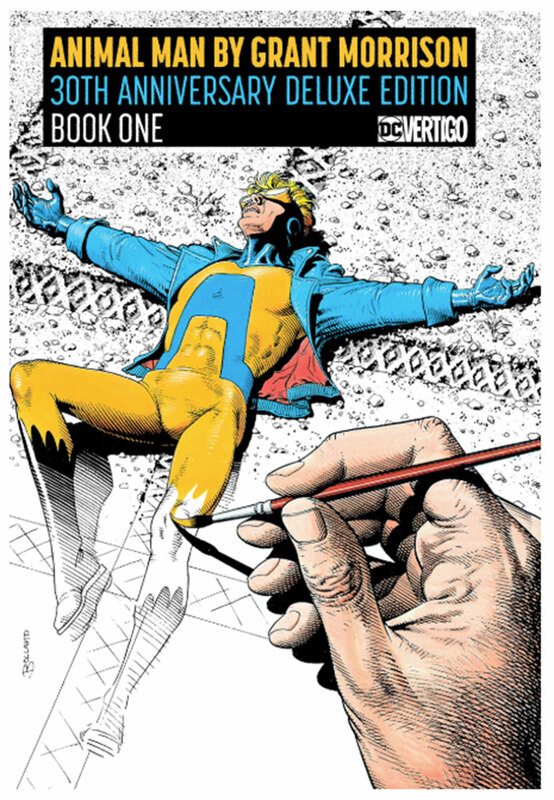 Grant Morrison's Animal Man, available in a new Deluxe Edition on sale December 12th, is the perfect book for them. A deconstruction of the superhero genre, featuring one of the DCU's strangest champions, Animal Man was the book that annouced the arrival of one of DC's all-time greatest writers. It remains a must for fans of intelligent storytelling. What gifts are you planning or hoping to get this holiday season? Let us know in our Community!